When I first moved to Jackson, my only regret in my college choice was (what seemed to me) the lack of natural beauty in the university’s town. As a Middle Tennessee native and an East Tennessee enthusiast, I grew up enthralled by the beauty of Tennessee’s landscape: the rolling hills, slow-moving rivers, and Blue Ridge Mountains in the east. Hence, my relocation to West Tennessee was, quite literally, flattening. Sure, there are plenty of great places to eat, work out, or grab a cup of coffee in Jackson, but, at first sight, there seemed to be little to no places that enabled rejuvenating encounters with the outdoors. It took a few years of living here for me to discover the natural beauty that lies hidden in and around this city. Jackson is home to sixteen city parks. Within easy driving distance of Jackson there are nine state parks. Each of these places has its own history, has played a significant part in many people’s stories, and offers a unique kind of beauty to those who seek it. Sadly, the beauty of these parks seems to remain largely unnoticed, or even unappreciated, by many who inhabit this region, which can partially explain why it took nearly three years for me to discover all of them. 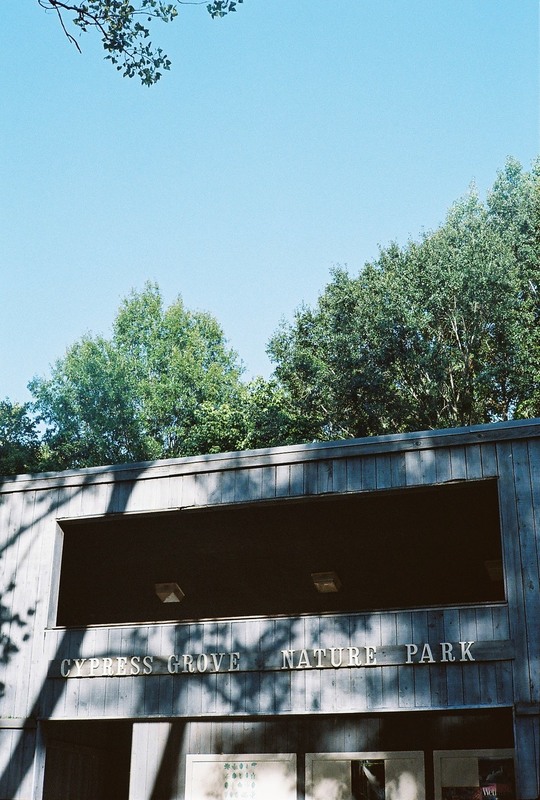 Though I could write about each of these places, providing you with a brief sketch of their individual charming qualities and the distinct opportunities each offers, I’ve chosen instead to focus on one park in particular: Cypress Grove. My first visit to Cypress Grove occurred during finals week of my last semester at Union. It came at a time filled with many questions like what might be next, how to begin pursuing my passions, and what my place in Jackson would look like post-graduation. Walking down the boardwalk that day, I looked to nature in hopes of relieving the anxieties of my mind. I quickly became distracted less by the beauty of the park and more by its brokenness. Litter was flecked across the marshy landscape and could even be seen lazily discarded into the trunks of trees. Carvings and random pen marks were etched into the woodwork of the handrails. These misplaced messages, like ‘Tommy loves Suzy’ and ‘Beware of zombies,’ did not make me feel that people had taken ownership of the park; rather, it seemed that they had taken advantage of it. As we arrived at the end of the boardwalk where an observatory building was nestled overlooking the pond, I was even more disheartened to note it was covered in messy graffiti overlapping ancient paint. The entire place seemed to convey an aurora of decay. I am not naïve. Natural decay is a reality of life, especially in regard to wood. Boards must be treated, repaired, and replaced. Things like buildings and boardwalks don’t last forever. However, there is more than natural decay at work in deteriorating Cypress Grove. Misuse and disuse have left their scars on its boards, buildings, ground, and tress and will continue to unless nature’s beauty is rediscovered by the people of Jackson—unless they are inspired to care for it properly. Saddened and frustrated by the ruins I observed that day in Cypress Grove, a spark of passion and inspiration was struck in me. I began to dream about what it would look like to prompt people to get excited about caring for the parks in and around Jackson, allowing themselves to be cared for by the beauty of these places in the process. In order for my vision to come to fruition, I knew I would need to partner with some key folks in this city to gain more knowledge about the park and what opportunities might already exist. I did some research and set up a conversation with Sandy MacDiarmid, the Superintendent of Recreation and Program Coordinator for Jackson Parks and Recreation. Our meeting began with Sandy giving me some background information on Cypress Grove. She reminisced about how the park was opened in 1985 as part of Jerry Gist’s vision of a “green belt” surrounding Jackson, filled with various “jewels” which became three parks and recreation areas: Cypress Grove in the west, the Fairgrounds in the center, and Kate Campbell Robertson Memorial Park in the east. Originally, this “green belt” of protected land surrounded the city, until the city limits expanded further north of I-40, and some of the land was sold. Cypress Grove differs from other parks in Jackson in that it is a nature preserve rather than just a recreational green space. Fondly referred to as “the best kept secret in Jackson,” Cypress Grove boasts of approximately 10,000 visitors a year from across the country and the world. It is also unique in being an urban nature center, which brings with it unique challenges like the aforementioned graffiti and litter. Because it is nestled in a low-lying wetland area, Cypress Grove is often the recipient of trash carried by floodwaters streaming off of Airways Boulevard and the Highway 45 Bypass. This is one of the clearest examples of how one small act can have far-reaching consequences. When it opened, Cypress Grove was staffed with a full-time forester and naturalist. With budget cuts and diminishing interest in the outdoors over the years, the park has become low-staffed and somewhat passive in contrast to the active tourist and educational attraction that it was intended to be. However, there is hope on the horizon. Sandy shared with me some exciting plans for the park to expand this spring with the addition of a new nature and environmental education building. This new building will allow for more children’s programs, scout activities, and aid in the park’s partnership with Union University’s wildlife conservation program. Once the learning lab opens, Cypress Grove will once again have a full time staff, which Sandy hopes will help make the park feel vibrant and active again. Meanwhile, there are many great ways to get involved at Cypress Grove. You can volunteer as a Friend of Cypress Grove to help with clean up, repair, and painting projects. You can also check out one of Cypress Grove’s nature tours or educational programs for your kids. You can take a buddy fishing, visit with the birds in the raptor center, or simply take a walk on your lunch break. The most important thing you could do for Cypress Grove is go. In Mile for Mile, a short film produced by Patagonia on trail running and land conservation, Kris Tompkins, Founder and President of Conservation Patagonia states, “We want for people to get out and fall in love because you will not protect something unless you love it, unless you go out into these hills, and the wind is in your face, and things hurt, and it’s raining, and it stings your face. That’s when you fall in love.” You won’t become passionate about a place unless a part of you becomes invested in it somehow—unless you spend time walking amongst the waters, trails, trees, and leaves, allowing nature to leave its mark on you, instead of leaving your mark on it. Conservation must become less of a global issue and more of a personal agenda. I’m passionate about the outdoors because of the time I’ve spent out in it—because it’s shaped me, refreshed me, and cared for me in ways that people or things haven’t been able to. You and I may have different opinions on what should be deemed beautiful, but I truly believe nature offers a universal sense of beauty to its beholder, whether you are the outdoorsy type or not. Beauty inspires. Beauty refreshes. Beauty heals. Where beauty has been destroyed, there is despair and a sense of hopelessness, but where it is cultivated, a sense of purpose is found—purpose in protecting and proclaiming the beautiful, making it our own and ours to share. Beauty gives people something to believe in, strive for, and be comforted by, even in the midst of lives polluted with fear, anxiety, regret, and pain. This is our city—the streets, the buildings, and the parks. If Cypress Grove is any evidence of how we care for it, then it’s time for us to do some home improvement. Our city’s leadership certainly has a responsibility to care for its parks, but I truly believe the citizens have a greater responsibility to care for them by enjoying them often and enjoying them rightly. Let’s opt outside for the betterment of ourselves, our families, our communities, our land, and our home. Cypress Grove Nature Park is located off US-70 East/Airways Boulevard in Jackson, Tennessee. For more information, visit their website or call 731.425.8316.